Are you a small business owner in need of financing? Are you fed up with stuck-up Australian banks that make you go through hoops to get it? 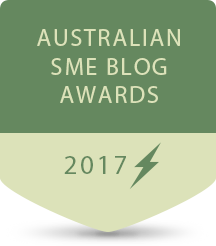 Compare the best Australian small business lenders on SmallBusinessLoansAustralia.com—the ultimate guide for Australian small business owners looking somewhere other than the banks for business loans. Stick around to learn all you need to know about small business financing solutions. Just Check Out Our Simple Comparison Below! Suitable for Bad Credit Business Finance. Offers Unsecured Business Loans in Australia. Before you rush to read our extensive small business lending options, you should consider using Lending Express. Test your eligibility in under 60 seconds, and get money in the bank in as little as 24 hours. They deal with requests of $5,000 to $500,000. Lender Reviews: How to do an effective business loan comparison? We have set ourselves a target of comparing and reviewing some of the top non-bank business lenders in this industry. Our goal is for prospective clients to be able to understand the type of service that is provided to them. When you compare small business loans, you have to remember this is not a one-size-fits-all situation. The same way business credit cards are different, different businesses have different needs and requirements. We are only able to provide the most basic considerations. 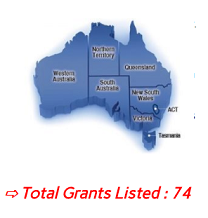 They are approved as a credit provider in Australia. That is the first thing anyone should consider before engaging in business with a lender. We prefer big and diverse companies that are able to offer various types of small and medium enterprises. That means there is a higher likeliness they would be able to offer you something that meets your own requirements. There is a quick and easy application process. If you have come to this website, you must have been searching for a fast business loan. The first part of being quick is being able to receive all the information required online in a simple and intuitive form. There is a quick response to each application, followed by quick financing (i.e., money in the bank). That is the second part of providing fast business financing. There is easy tracking of your loan and a clear repayment schedule with no hidden fees and no fines on early repayments. 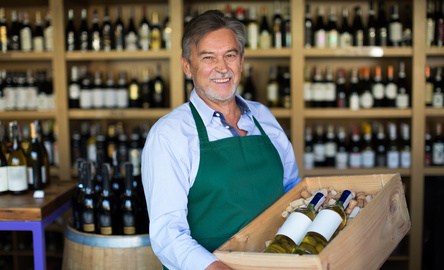 A loan can be taken for any business use (with the exception of Spotcap). For example, you can borrow funds from the lenders featured on this website to buy machinery, fix machinery, recruit staff, buy vehicles, buy stock, buy inventory, or even acquire another company. A flexible loan amount is offered that can suit a business that needs money to buy stock in the next day for $5,000 up to a more established firm that uses this loan to acquire a smaller competitor. 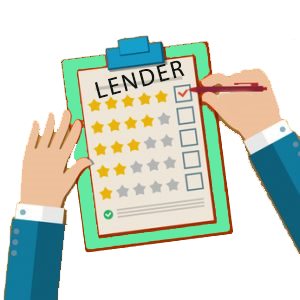 Based on the considerations above, we have made our selection with regards to the lenders we feature and review on this website. View our top selections here. Step 3: Manual Business Loan Comparison or Automated Finders? Although our aim is to provide you with tools to learn about the best business lending providers in Australia, we did mention that there are a lot of factors involved in choosing the right provider for your own specific circumstances. This is why we recommend using Lending Express, a service that enables you to fill in your details only once and then get offers from relevant, approved business lenders. This is a quick, automated solution that fits many businesses nowadays. This is an especially useful tool if your business is newer or you have a bad credit score since only a smaller sub-set of lenders will accept such a business. Remember – there are no guaranteed approvals! Capify is a dinosaur in the small business lending industry. The firm was established 13 years ago and has lent more than $650M so far in working capital financing. It is partially funded by global giants like Alibaba, which injected $40M in cash to be used for lending. This is the company that actually pioneered unsecured business loans in Australia back in 2008, and it established itself as an industry leader. The firm’s strong point, beyond its spotless reputation, is how quickly it responds to applications (often as quickly as 60 minutes!) and the wide range of businesses it deals with. The firm will deal with large merchants or importers but also smaller businesses, such as family-owned stores and entrepreneurs. The feedback from clients appears to be good. On Google Reviews, at the time of writing this, the firm boasts a 3.8 / 5 rating with more than 20 reviews. On the Australian TrustPilot, it is definitely leading the pack with a whopping 9.5 / 10 score with more than 140 reviews. Capify is an established brand with serious capabilities in this industry, and we would very much recommend considering it. It costs nothing to try! Capify is an established brand with serious capabilities in this industry and we would very much recommend inquiring with them. It does not cost you anything to try! Prospa, located in Darlinghurst, New South Wales, is one of the most respectable alternative business lenders in Australia. With awards like Lending Innovator of the Year 2017, #1 Smart Company in Australia 2016, and most recently Leaders of the Year at FINNIES 2017, the firm is definitely recognised as such. The firm is trusted by Australian mortgage giant AFG, and the two companies have signed onto a collaboration initiative in 2015. Aside from being one of the most trusted brands in the industry, the firm also offers a great deal of flexibility and has positioned itself to be one of the quickest business lenders in Australia and even globally. You’re likely to get a response to your application within hours! Similarly to its main competitor, Capify, the service receives glorious feedback across the web. With a 4.1 / 5 score on Google, a 4.2 / 5 score on Facebook, and an astonishing 9.5 / 10 on TrustPilot (with more than 100 reviews), there is no doubt that Prospa is one of the best at what it does. When we searched online specifically for complaints, we could only locate five in total through all channels! This is extremely unique in the financial services industry. Prospa is a great choice for anyone requiring an unsecured or secured business loan of $5,000 to $250,000. Prospa does not offer unsecured business loans for new businesses with less than one year of operation. Sail is a newcomer to the group, but considering its young age, it is showing remarkable signs of becoming a niche leader in the near future. The Sail group prides itself on a unique smart algorithm that is able to identify the ‘real risk’ profile better than its peers can. Another thing that Sail excels at is transparency. Sail small business loans are very easy to understand, and the only payment required up front is 2.5% of the funding. Sail’s loans range from $5,000 to $100,000, for a minimum of three months and a maximum of one year. That means it caters to businesses that are interested in short-term loans only. Spotcap is a global lender offering small business financing in the UK, the Netherlands, Spain, New Zealand, and Australia (as of January 2017). From the start, you get a sense of dealing with a sensible and fair company as the repayment rates are completely transparent. This enables prospective customers to get a sense of the interest they will be paying based on their individual circumstances. The firm was established in Berlin in 2014 and has grown at a staggering pace. It has raised more than $90M up to this point and already employs 90 people in its offices around the globe. Spotcap is undoubtedly one of the best in the business. The firm was established in Berlin in 2014, and has grown at a staggering pace. It has raised more than $90m up to this point, and already employs 90 people across its offices around the globe. Spotcap is undoubtedly one of the best in the business. GetCapital is a leading online lender in Australia, which has received the luxurious status of the 2nd most growing business in 2016. With its straightforward approach, understandable website, and ultra-quick turnaround, Get Capital is considered “the friendliest lender”. GetCapital is known to be ultra flexible with the type of loans offered. In essence, small businesses in Australia with at least $10,000 monthly turnover can borrow money quickly and efficiently for any purpose. It may be a vehicle loan, equipment, line of credit, expansion-related or for any other purpose and needs. The guys at GetCapital will make sure it is apt for your business. There are plenty of cautionary tales for us to tell you about small business lending. If you thought financing was just a game, think again. Making a mistake in such a critical aspect of your business can make or break you. Do not borrow money that you are unsure you can repay. The eventuality of this will become a real burden in your business career and personal life. Do not borrow money if you don’t need it. Consider other alternatives before jumping on a small business loan. Do extensive research to understand your options. Don’t jump the gun unless you really have to. Realise that the industry works like this: The more urgently you need the funds and the worse your position is (for example, bad credit), the higher the interest rate will be. Realise that this industry is not regulated in the same manner as personal loans. The regulatory authorities believe that as a business owner, you’re in a much less vulnerable position than an individual and should, in theory, be more educated about these topics. Make a sober decision about whether to use banks or alternative business lenders to fund your business. Read the guide below, which is intended as a starting point for business loan newcomers. We think the best way is to start off by explaining how this industry works and to lay out the pros and cons of alternative (non-bank) small business loans against a bank business loan. Below are the differences you will experience when dealing with the lenders listed on this website in comparison to Australian banks like Commonwealth, Westpac, ING, ANZ, or Suncorp. With an alternative business lender, the decision on your loan is made within as little as 24 hours of application. Much of the application processing is done online through a sophisticated algorithm. With small business alternative funding, the decision on whether to offer you a loan and under what conditions will depend on their independent analysis. They may factor in your credit score, but this is not the only determining factor. You will receive the loan quickly once the decision has been made (even on the same business day). With business financing companies, you should receive a clear repayment schedule with no hidden fees in the simplest and most coherent way possible. There are no early repayment fines of any sort. With alternative lenders in Australia, you should be able to score an unsecured small business loan if you desire one (and speak to the right lender that offers such financing). With business financing companies, you would pay, on average, higher interest than with banks. With business funding companies, you can take a loan for a few months or three years maximum. With bank business loans, the decision on whether to give you a loan can take weeks. Even before that, it may consume a lot of time and energy (and money!) to create a suitable presentation of the business and fill out the application forms. With banks, it is highly unlikely you will receive financing if you have a bad credit score. In fact, based on statistics, as many as 60% of loans are rejected due to not meeting the bank’s risk profile requirements or because the business was misrepresented on the forms. With banks, the repayment schedule is not always clear, and you may experience fines on early repayments. With banks, you always need to present securities for the financing you will receive. With banks, you are expected to get better interest, on average, than with alternative providers. Banks prefer longer-term loans over short-term loans but can offer both. You require money urgently. Working capital financing or equipment financing qualify as an urgent need. You are not able to receive a business loan from the bank. You do not want to go through the hurdles of applying to a bank with all the preparation and paperwork involved. You need the money for only a short period of time. You are looking for unsecured financing. You are an established business that can get a loan with the bank. You are able to complete all the necessary paperwork. You are happy to wait weeks or even months for the application process to end. You can supply the necessary securities. We have reviewed more than 10 different Australia-based business lenders, all of which offer unsecured small business loans. They are all credible, effective, and quick. Other similarities between the Australian non-bank funding companies include relatively high interest, strict minimum requirements, and small loan amounts in comparison to revenues (usually up to one month of revenues in financing). It is not an easy, cheap, and effort-free process to get a small business loan, and you should do comprehensive research to decide which lender provides the best business loans for your needs.